Red Dead Redemption 2 is already one of the year's hottest games and it's only been out a month, which makes this PS4 Slim bundle quite the hot ticket, even in the wash of all the brilliant Cyber Monday PS4 deals. Walmart is stocking the PS4 Slim, complete with Red Dead Redemption 2 and an additional DualShock 4 for just $199, which is frankly obscene pricing. That very same bundle was previously retailing at just under $300, which Walmart listed as already saving you $100, so getting the PS4 Slim, Red Dead 2 and two controllers for under $200 is a deal you should move on quicker than you pull your pistol in a duel. A delicious deal on one of the best games of this generation, a new console, and two controllers. Arthur Morgan wouldn't think twice about this steal. 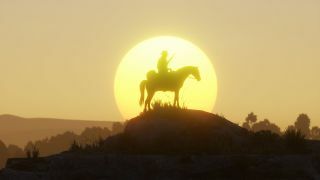 Of course, with Red Dead Online on the horizon (Rockstar promises it'll be available before the end of November), this deal actually gets sweeter and sweeter over time. In a matter of days, you'll be able to experience delicious Wild West antics until the cows (literally) come home. If that's not the deal for you - maybe you're looking for a top notch PS4 Pro deal, for example - be sure to keep your eyes glued to our constantly updated Cyber Monday game deals.